Westco Miljø supplies total waste management solutions to offshore and onshore premises in commercial and industrial sectors, as well as residential and municipal customers. Westco Miljø delivers containers, collects waste, prepares customised solutions, sorts and correctly handles waste in order to meet legislation. Additionally, the company provides certified waste containers, compactors and recycling stations for offshore applications. Westco Miljø recently made large investments in its waste reception / sorting division, including building one of Norway’s most modern sorting plants at Forus. To maintain the high level of service, Westco Miljø’s waste receiving facilities are located near its clients. The facilities at Eigerøy (Egersund), Dusavik and Tananger function as reloading stations / satellites to the company’s sorting station at Vigrestad (Jæren) and Forus. Westco Miljø deploys 57 trucks and more than 9,000 source sorting devices, bins, containers of all sizes and pressure solutions. The company assists in facilitating user-friendly sorting solutions, with combinations of equipment and transportation that take into account environmental requirements and cost effectiveness. Westco Miljø’s fleet of trucks, containers and locations makes it one of the top performers within waste management when it comes to delivery time and capacity, which are the top priorities of its clients. Westco Miljø works hard to make sure it delivers on time, provides a quality service and has the capacity to satisfy its clients’ needs so that they can focus on their business and not on their waste. Westco Miljø’s company goal is to recycle 99% of all waste it collects. Westco Miljø’s experience and expertise goes all the way back to 1952. The company has five locations strategically situated in Rogaland, Norway. 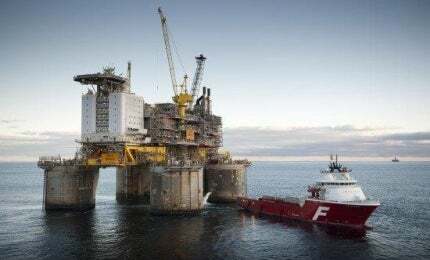 The company’s client base includes Oceaneering, Subsea 7, Stavanger Forum (ONS Exhibition), North Sea Group, GMC, Rosenberg Worley Parsons, Aker Egersund, Bilfinger and Lyse AS. Westco Miljø is certified in accordance to NS-EN 9001:2008 and NS-EN 14001:2004.